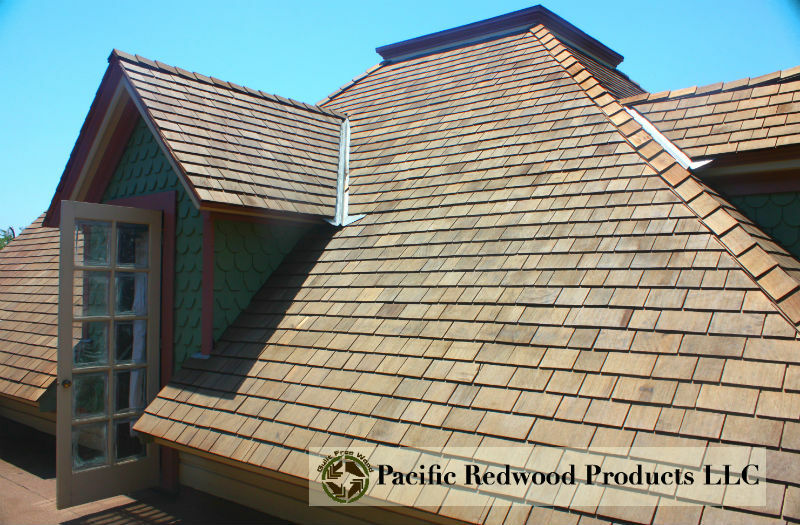 Shingles and shakes are used on walls and roofs, and have historically been the most highly valued and first choice for roofing material. 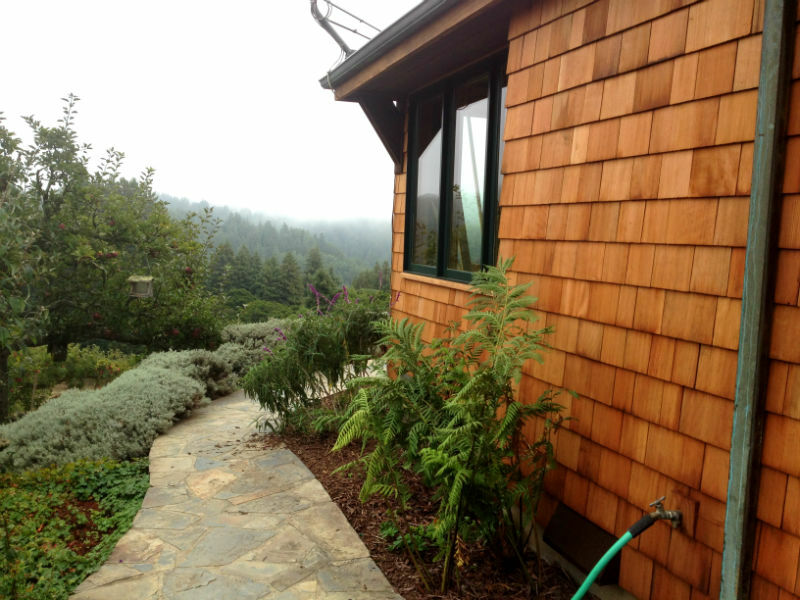 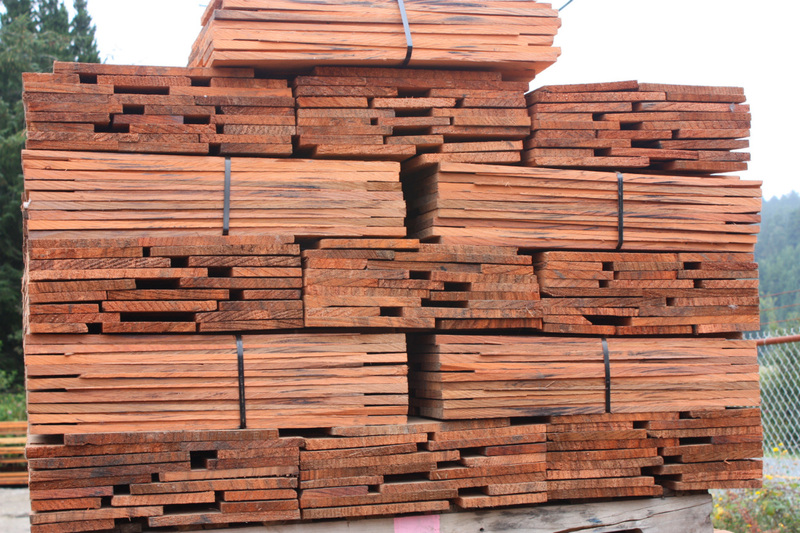 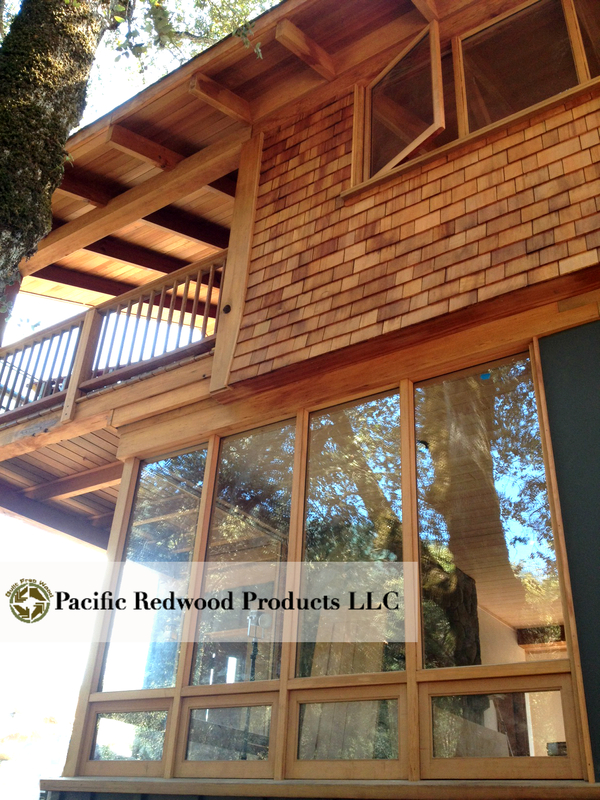 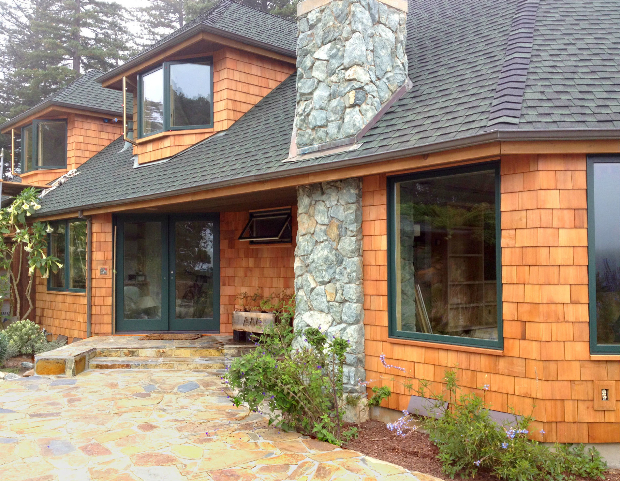 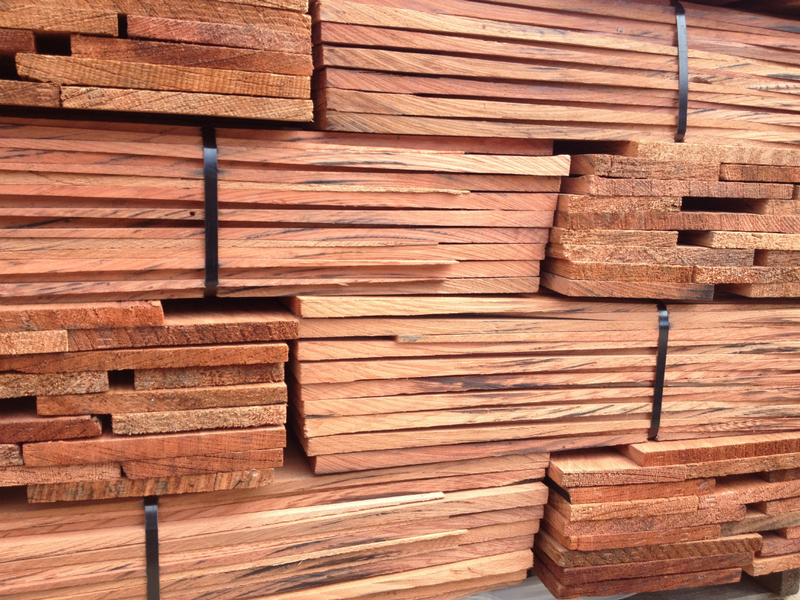 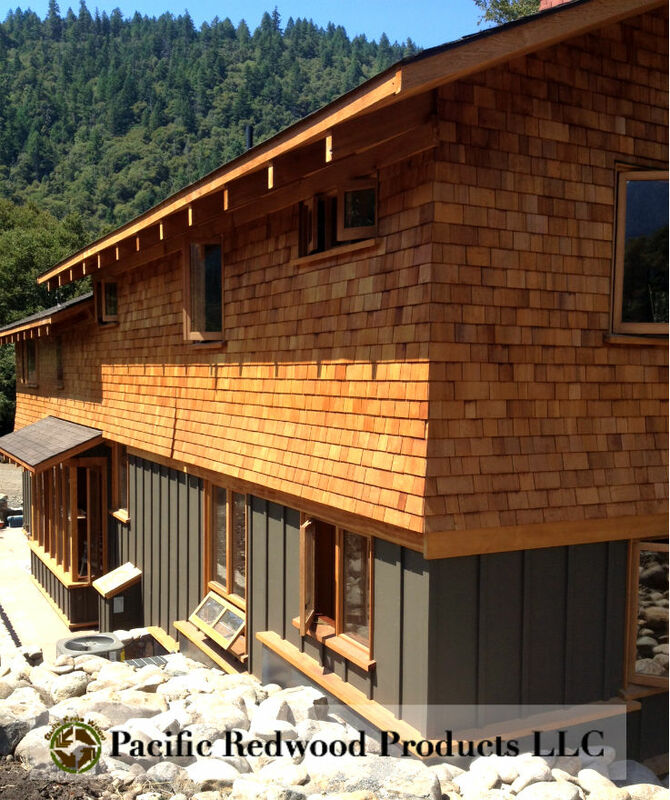 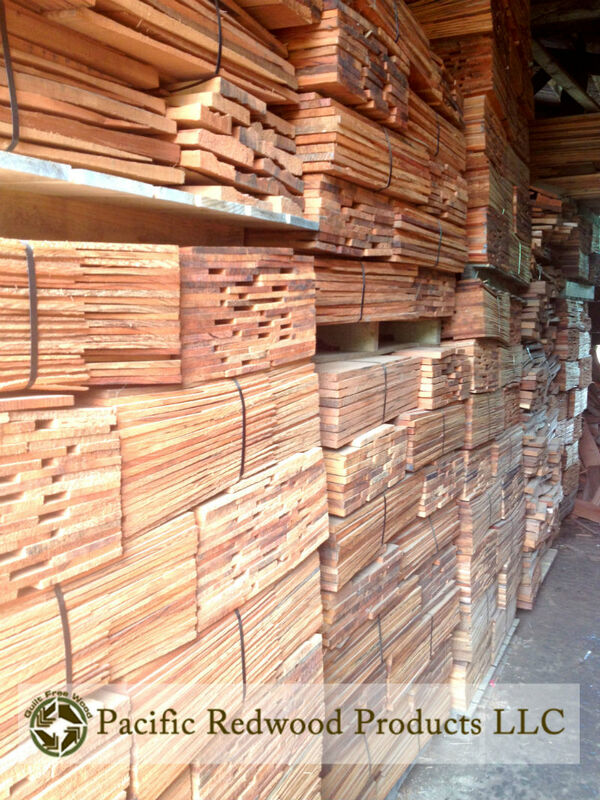 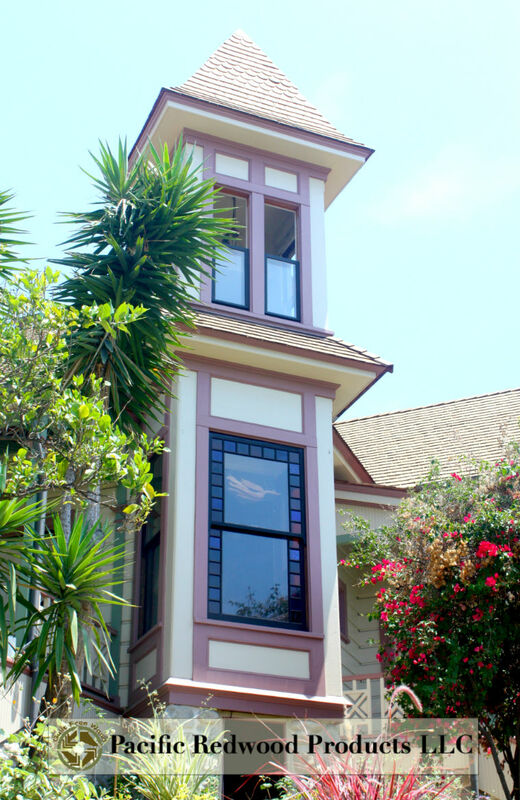 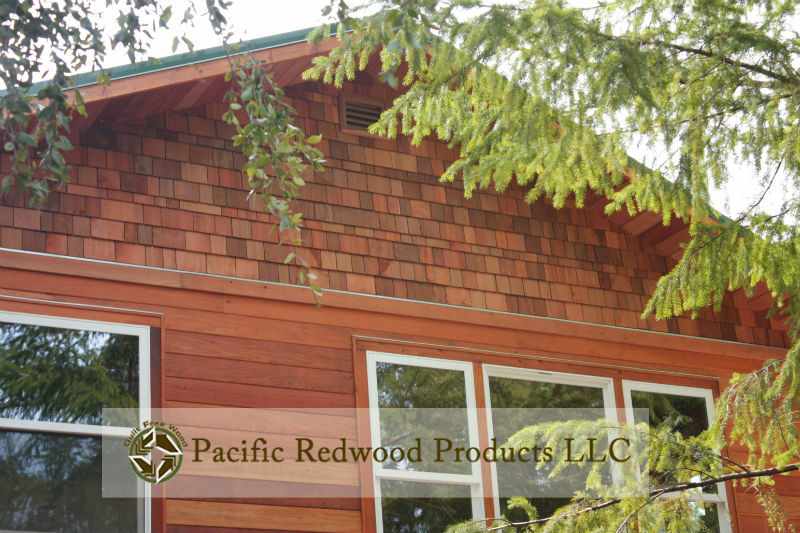 Today a redwood shingle or shake roof is a premium product. 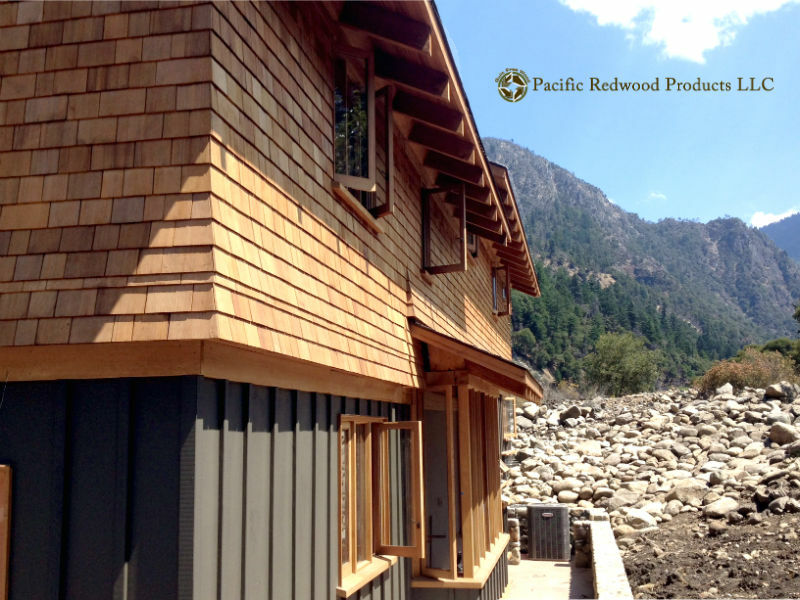 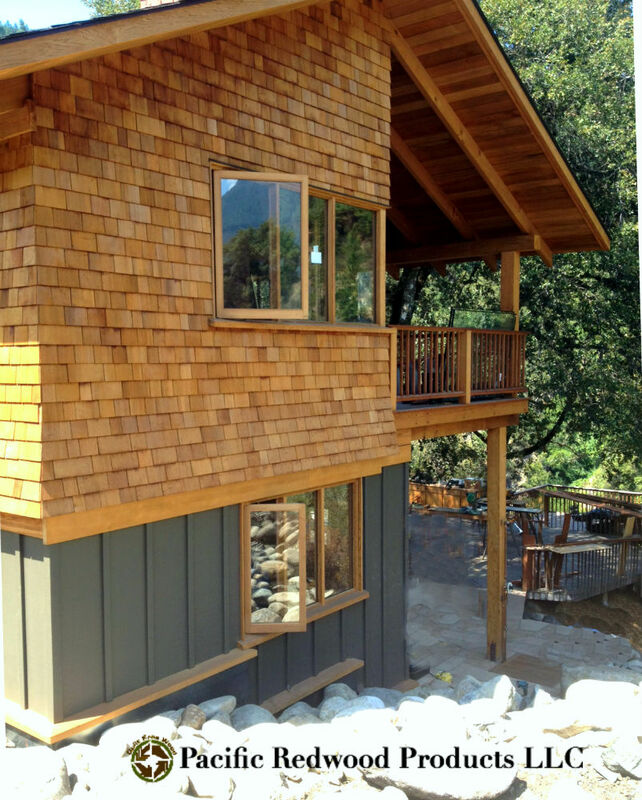 Architects and builders choose wood roofs and sidewalls for their beauty and natural appearance that blends well with surrounding environments. 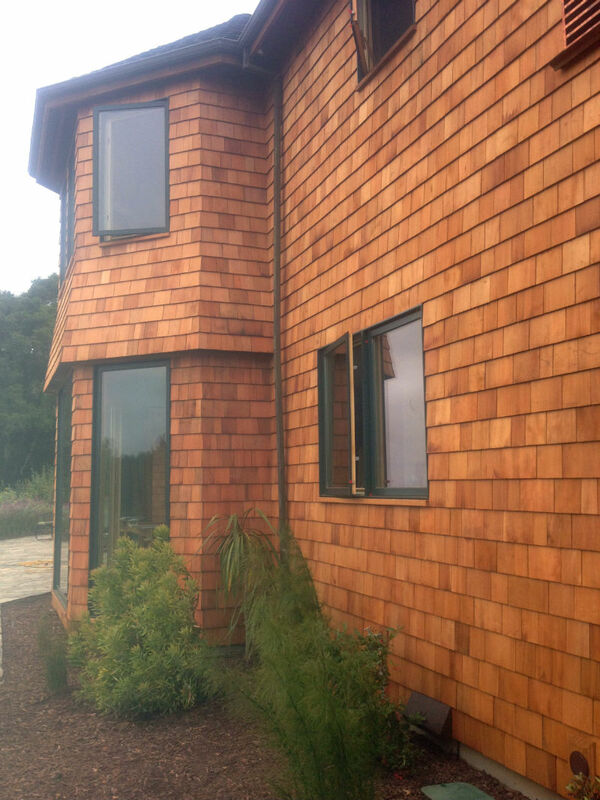 Wood shingles and shakes can provide superior performance in areas that receive high winds or damage from hail. 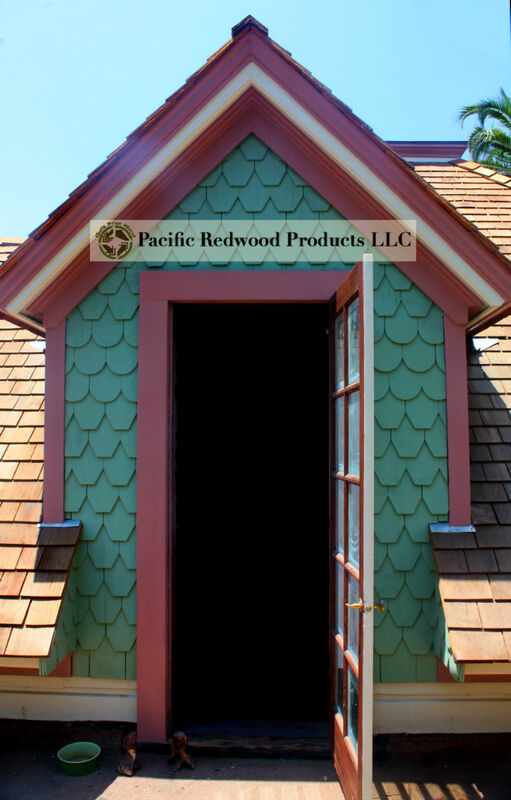 Asphalt shingles make up 2/3 of the roofing market. 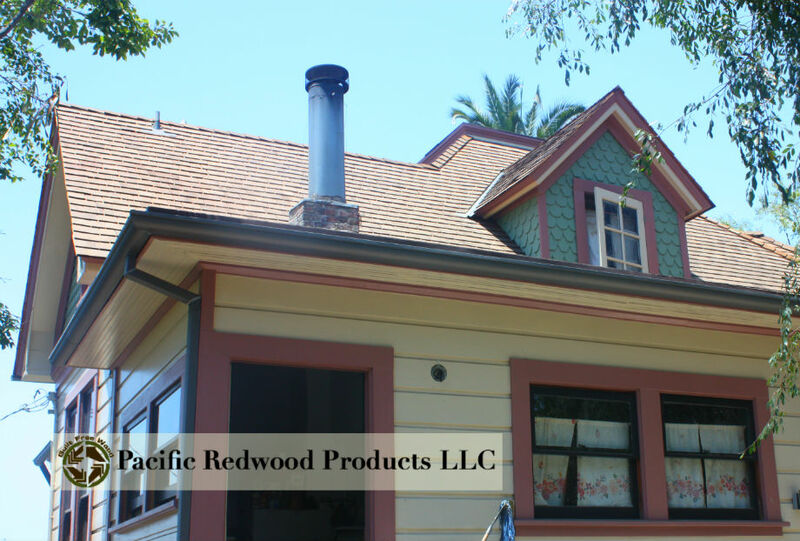 These roofs are low quality with some asphalt shingles needing replacement after only 1 year, with a whole roof needing replacement in 10-12 years! 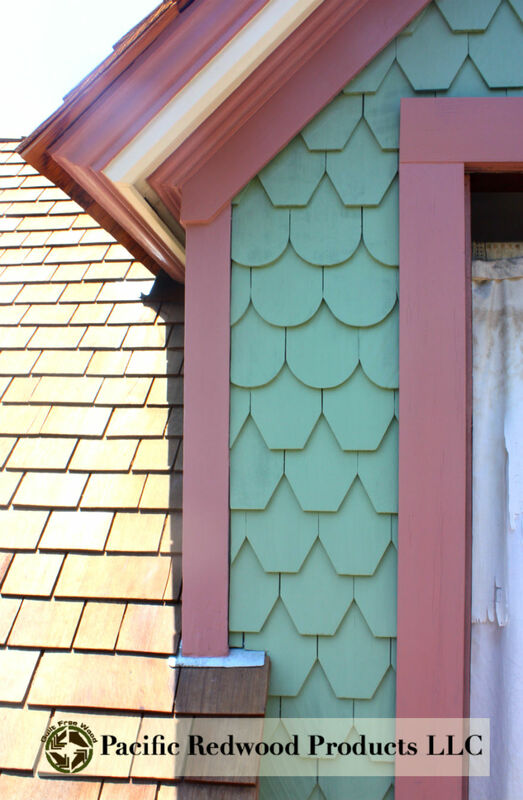 Each year the US disposes of 11 million tons of asphalt shingles, made from toxic, carcinogenic chemicals, to landfills, where they leach into groundwaters contaminating watersheds and wells. 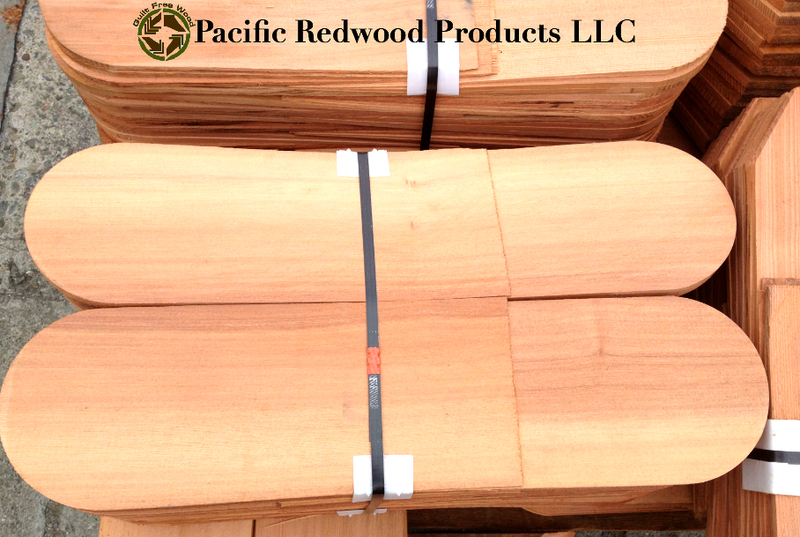 Durability is another consideration. 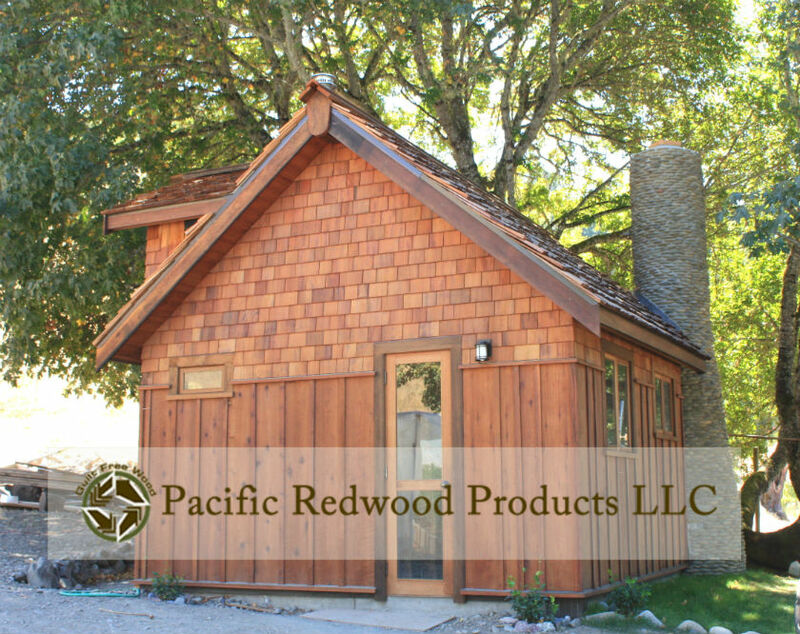 According to the US Forest Products Laboratory,”…a good wood shingle roof will last up to 30 years under favorable conditions.”(USDA Handbook 481). 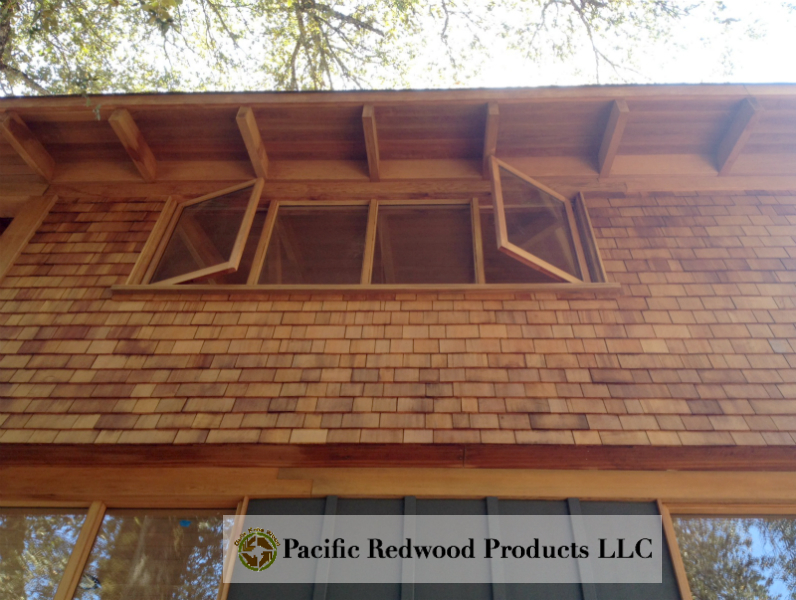 In our experience we have seen structures with wood siding and roofing last much longer with the metal nails needing replacing before the redwood shingles or shakes! 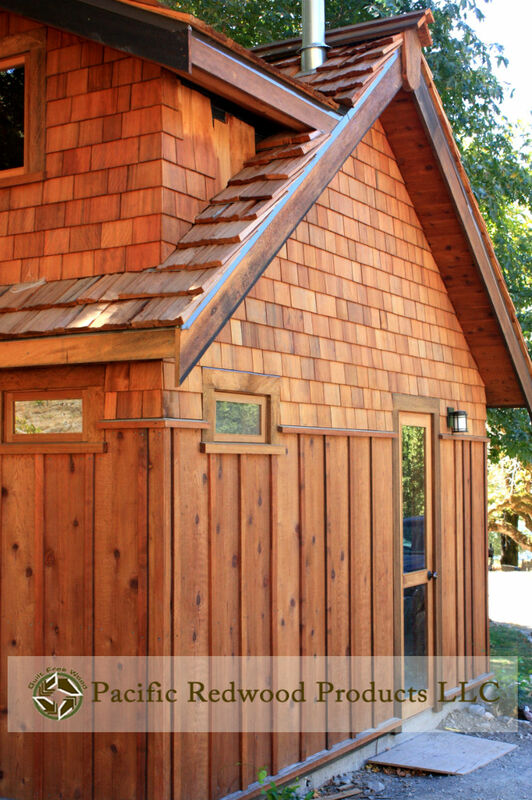 *When deciding on a roof it is best to calculate on a cost-per-year basis. 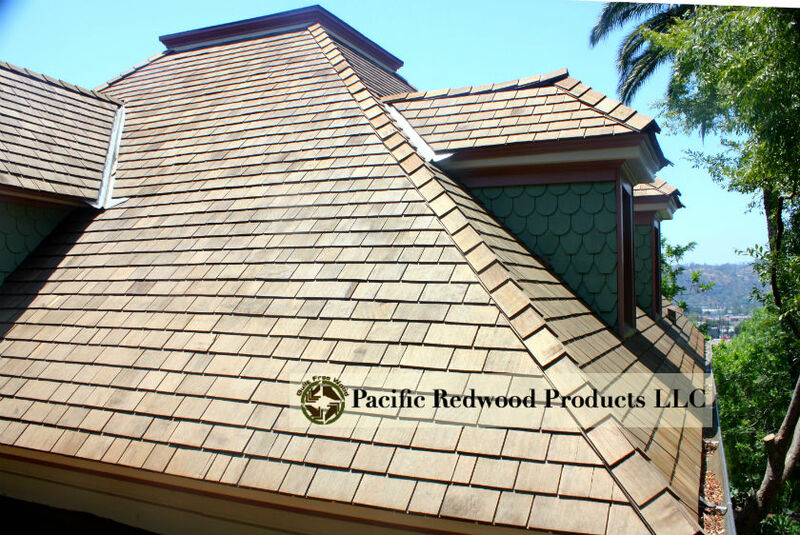 Shingles can withstand high wind speeds and other extreme weather conditions. 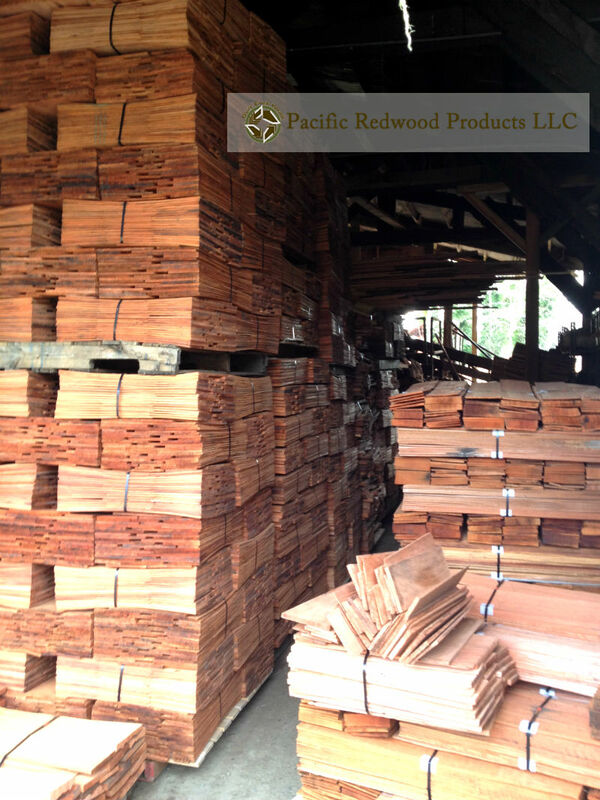 They may be pretreated.